Solution of any problem in your computer and mobile. hello friends, if you any problem in your pc or computer and mobile you can ask me for his solution. 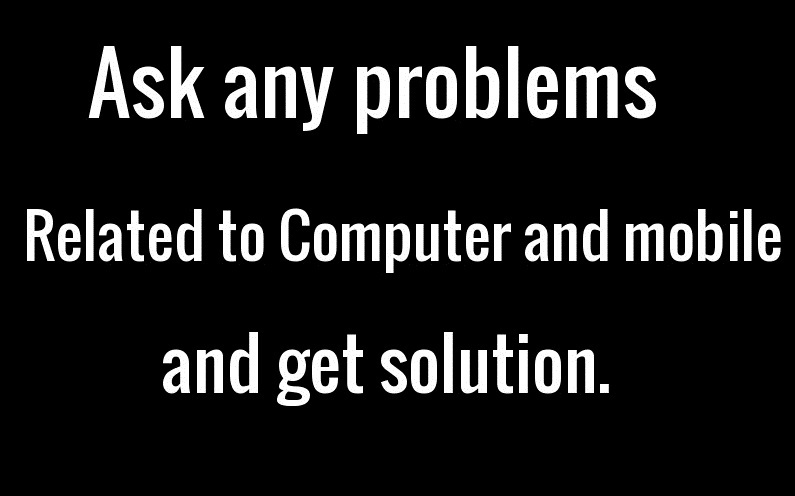 which related with software or hardware problem no matter. you can ask me anything related to computer,mobile,software and hardware questions. so, if you want to ask any question make a comment below this article. or you can open my website www.everythingknowhere.ooo and open any post and comment below. i can surely reply within 24hr and give you solution of you question freely.